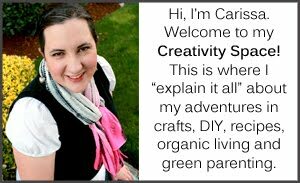 I'm excited to show you guys my Thanksgiving decor using dollar store materials. 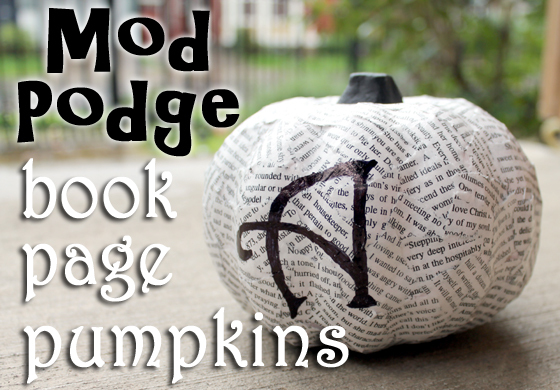 I was able to turn some rather unappealing foam pumpkins from the dollar store into these cute book page pumpkins that spell out THANKS. Here is a sample of the font that I used. In the video, I said I decided to use lowercase letters. I ended up changing my mind and went with all caps. The font name is Harrington. I just pulled the font up in front of me on the computer as a guide and free-handed it onto the pumpkins. 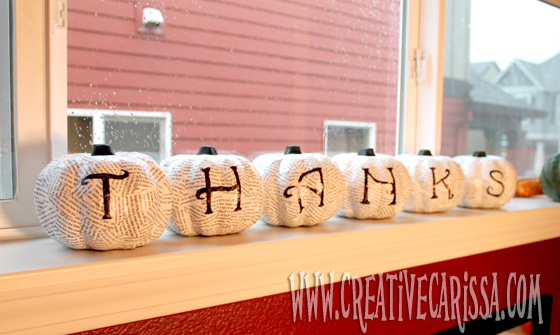 This project is really easy, but it does take some time if you're going to make multiple pumpkins. Get your whole family involved (one person painting, one person ripping book pages, one person mod podging). In addition to window sill, mantle or table runner decor, these could make fun place settings. 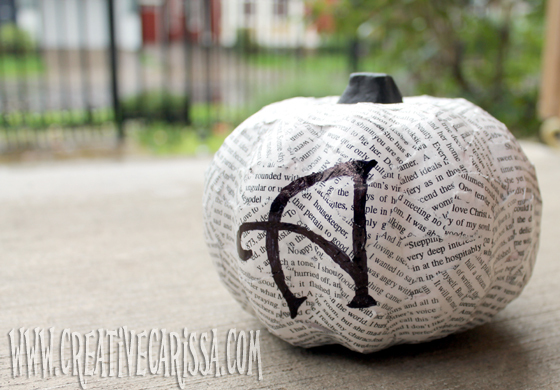 Write a guest's initial on their pumpkin and let them take it home after dinner. Super duper cute idea! I heart book page crafts, and this rocks.